How do I become a Certified Spinning® Instructor? 1. Register for a Spinning Instructor Certification Live Training Day. The cost of registration includes course materials, the Live Training Day, and the exam. 2. Read and review the provided Spinning Instructor Manual and Digital Study Guide before attending the Live Training Day and taking the exam. 3. Complete the Digital Waiver and Non-Disclosure Agreement in your SpinU account. 4. Attend the Live Training Day and pass the online exam. 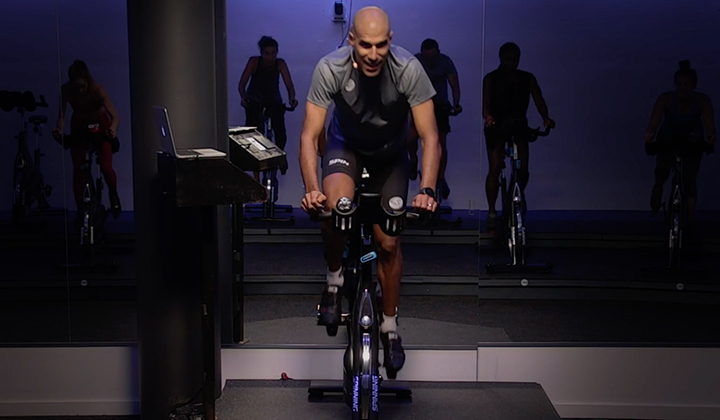 What is the difference between a Spinning® Instructor Certification and other indoor cycling certifications? Designed for everyone, the Spinning Instructor Certification was created to advance your career and attract more students with an exciting, effective and safe activity. When you join our global network of Certified Spinning Instructors led by the Spinning Master Instructor team, you have access to all the latest resources you need to help you create classes, epic rides or enhance your coaching skills. We also offer the widest variety of continuing education options include: workshops, online courses, home studies, fitness conferences and newsletter quizzes. How long after I’ve completed the Spinning® Instructor Certification Live Training Day do I have to take the certification exam? While the exam will be immediately available in your instructor online account after you completed your registration for the Spinning Instructor Certification Live Training Day, the exam will be available for just 30 days after you attend the live training day. If you do not take the exam within those 30 days, there is a fee of $50.00 to regain access to the exam. How many attempts am I given in order to pass the online exam? If at first you don’t succeed, try again. And don’t forget to use your Digital Study Guide. You are allowed two attempts to pass the exam. If additional attempts are needed, you can request a retest. A retest fee of $50.00 will be required for each additional attempt needed to pass the exam. Do I need to pass the exam in order to begin teaching? This is at the discretion of the facility where you work, but Mad Dogg Athletics recommends that you earn your certification before you begin teaching. It’s also a good idea to earn your CPR/AED/First Aid certification as well. However, we urge you to work with an experienced Certified Spinning Instructor until you are certified and ready to teach on your own. How can I access my Spinning® Instructor Certification? Once you have attended the Spinning Instructor Live Certification Training Day and passed the online exam, you will be able to access your digital certification through your SpinU account. How do I become a Level 2 (Advanced) or a Level 3 (Elite) certified Spinning instructor? To become a Level 3 (Elite) certified instructor, simply choose and successfully complete whichever of the two above courses you did not take to become a Level 2 (Advanced) certified instructor. For example, if you took SPINPower to become Level 2, simply take Becoming a Rockstar Instructor to become Level 3. What if I already have a non-Spinning indoor cycling certification, but want to enter into the Spinning Certification Pathway? Our bridge program was created to allow individuals with a recognized indoor cycling certification to “bridge over” to Spinning to become certified in the Spinning philosophy and progress seamlessly through the pathway. 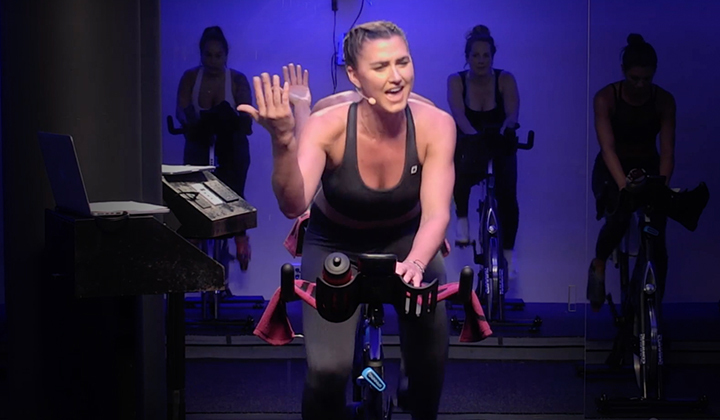 Once you complete this program, you are considered Spinning certified and can now progress to become a Level 2 and Level 3 certified Spinning instructor. This interested in going through the bridge program must first provide proof of a valid certification prior to enrolling into the program. Continuing education is professional learning that follows the basic level of certification for professionals in a given field. It helps professionals to stay knowledgeable and proficient in their field, and it is typically required to maintain certifications and licenses in any profession that involves the public trust. What are SPIN® Continuing Education Credits (CECs)? 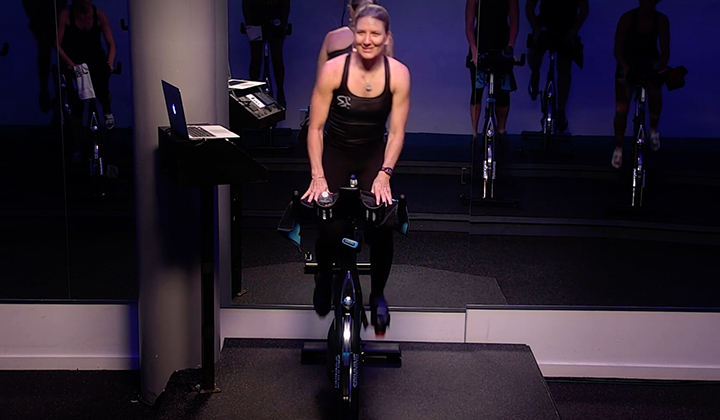 SPIN® CECs are the Spinning program-related continuing education credits you must earn in order to maintain your certification after attending the live training day and passing the exam. 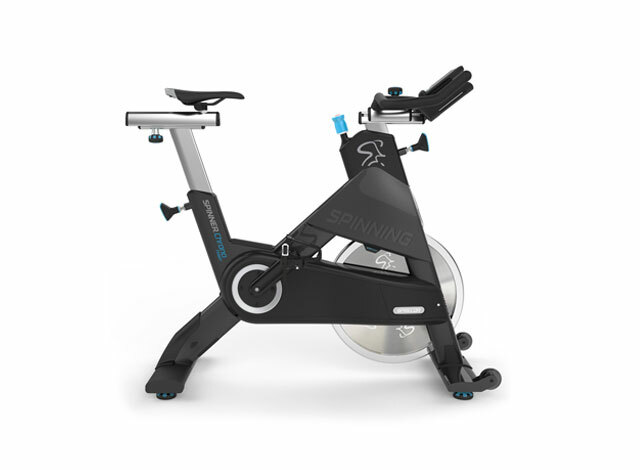 You will earn 6 SPIN CECs for each 4-hour Spinning workshop, 3 SPIN CECs for each 2-hour Spinning workshop, and up to 14 SPIN CECs for online courses. You can also earn 1 SPIN CECs for each monthly newsletter quiz you complete. If I earn more than 14 CECs in a two-year period, do my CECs roll over? No, CECs do not carry over into the next renewal period. You must earn a minimum of 14 CECs over the course of this two-year renewal period to keep your certification active. Can I earn SPIN® CECs for continuing education through organizations other than Mad Dogg Athletics? Yes, you can petition to receive credit for workshops and courses completed through other educational organizations for a small fee. The course content must be directly applicable to your role as a Spinning instructor, and the course instructor must be certified by a reputable fitness organization. Petitioned courses must be earned within your renewal period, and you cannot submit the same course more than once within a single renewal period. Click here to learn more about the petition process. Can I submit my CPR/AED and First Aid cards for SPIN® CECs? Yes, you can earn 1 SPIN CEC for CPR/AED and 1 SPIN CEC for First Aid; however, the certifications must be up to date and earned within that two-year certification period, and you can’t submit CPR/AED/First Aid more than once within a two-year certification period. Proof of certification is required. What is the difference between recertification and renewal? Certification renewal is required every two years. You become eligible to renew once you have accumulated 14 Current SPIN® CECs during that renewal period*. When you renew, you will receive an updated Certified Spinning Instructor card. Instructors are given a 90-day grace period after the date that their certification expires to accumulate any remaining CECs needed. Instructors who allow their certification to lapse for more than 90-day grace period allotted will forfeit their current CECs and be required to take the online Recertification course. Once you complete the online Recertification course and pass the exam, you will receive a new Certified Spinning Instructor card that expires two years from the date you passed the Recertification exam. If an extension to earn CECs is needed, instructors can request a renewal extension of up to 90 additional days for a fee of $50.00. This request must be processed prior to the end of the 90-day grace period. What is the difference between the Spinning® Instructor Certification and the SPIN® membership? The Spinning Instructor Certification is the credential you receive after you attend a Spinning Instructor Certification Live Training Day and pass the online exam. This certification is valid for two years. SPIN membership is an annual benefits program that anyone can participate in. SPIN members receive monthly benefits and discounts from not only Spinning, but also at Peak Pilates®, CrossCore®, Resist-A-ball®, Ugi® and our growing list of partners. What is the fee to renew my certification? The certification renewal fee is $79.00 every two years. SPIN members receive a 50% discount off the renewal fee. Learn more about certification renewal here. Yes, the Spinning Instructor Certification is globally recognized, so you can teach at any Official Spinning Facility on the planet! However, should you relocate or decide to teach in a different country, be mindful to research the local government and health ministry regulations to determine if any additional certification requirements are needed. How can I find a job as a Spinning® Instructor? The best studios or facilities to apply your trade is at an Official Spinning Facility. Official Spinning Facilities are unique in that they only use Spinner® bikes (the official indoor cycling bike of the Spinning program) and only have Certified Spinning Instructors leading their indoor cycling classes.